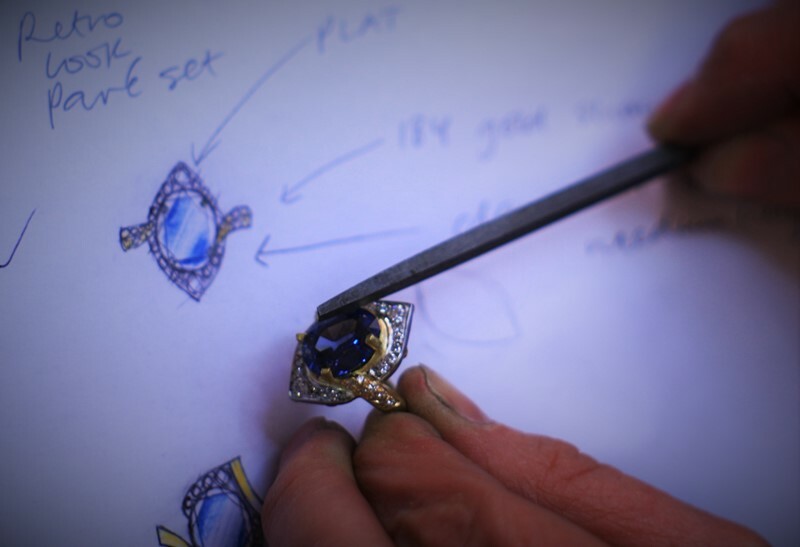 Oftentimes, our customers request very specific gemstones and diamonds to be used in their bespoke jewellery design or jewellery remodelling. It may be that you would prefer a rare gemstone or an unusual type of diamond. We can source diamonds and coloured gems of your choice. A popular request amongst our customers is birthstone jewellery. Even if you know little about gemstones but have a particular colour in mind, we can locate the perfect stone to ornament your jewellery. Book your consultation today if you are ready to get started. All of our jewellery is handmade in our workshop. Choosing a business that provides only handmade jewellery ensures that your piece is entirely unique. It also means that a lot of care and attention has gone into each creation. Shirley and Hannah, our in-house designers are proud to be Scottish jewellery designers and often incorporate Scottish themes into their designs. Searching for inspiration? Visit our Gallery to browse a range of our bespoke jewellery designs and jewellery remodelling examples.